Pizza Hut has become the latest brand to apologise over a reader offer that appeared in a national newspaper. The restaurant chain offered Sun on Sunday readers the chance to win a free pizza, but even before the offer had appeared in print the company had apologised for it on Twitter. A few hours after publicising the offer on social media on Saturday, the official Pizza Hit Delivery UK account said: “We apologise for any offence caused as a result of this partnership. Pizza Hut’s Facebook account received 2,929 comments in response to the offer, which runs until Thursday. It had also been targeted by campaign group Stop Funding Hate. Pizza Hut’s apology comes two weeks after stationery store Paperchase said sorry for a reader offer that appeared in the Daily Mail. 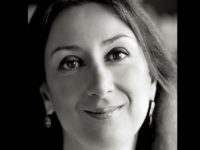 In September, Evans Cycles blacklisted the Daily Mail, Express and Sun titles as advertisers – apparently in response to being sent a 15-year-old cutting from the Mail on Sunday. Society of Editors executive director Ian Murray said: “Obviously, advertisers can decide where they wish to spend their money and which publications they wish to support, but what we are seeing here are what appear to be concerted, organised campaigns against just some newspapers by pressure groups. A Sun source said: “I think they were just trying to acknowledge that there were a small group of voices on twitter who weren’t happy, but ultimately in light of recent events their quite mildly phrased tweet has become a bigger deal than they probably intended. Press Gazette has contacted Pizza Hut for comment. Read our editorial warning against advertiser boycotts. 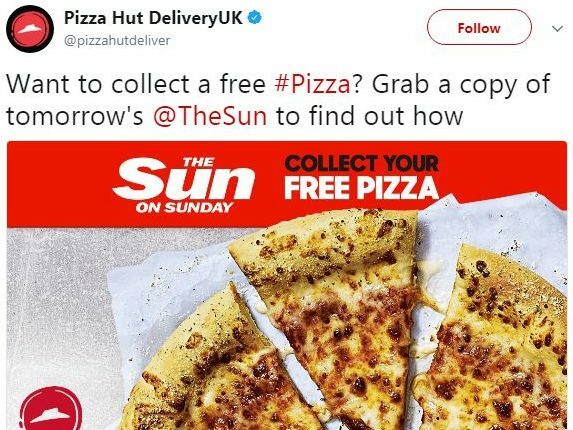 At least Pizza Hut is not threatening to stop promotions linked with The Sun. Am amazed that the only two other comments as I write this are from apparent loony leftists. But I suppose that only nutcases, me included, bother to comment on news stories.